Invercargill's top sprinters Eddie Dawkins and Matt Archibald will make up half of a four-strong NZ team to head to the third round of the UCI World Cup in Mexico next month. The BikeNZ team will be completed by Sam Webster (Auckland) and Ethan Mitchell (Auckland) with coach Justin Grace. BikeNZ will continue to send minimum numbers to the early season World Cups in a relatively quiet year of international racing, following on from Cameron Karwowski attending the first World Cup in Cali and Dylan Kennett racing in the second World Cup in Edinburgh. 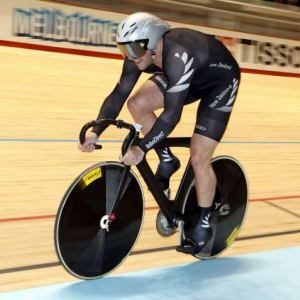 The focus for endurance riders will be the New Zealand track championships in Invercargill in late January which will form the key selection event for international squads. “We are obligated to be represented at every World Cup,” said BikeNZ’s Dayle Cheatley. “We need four riders for Mexico for our minimum quota, and the sprint men require qualifying points to be considered for selection to the world championships. 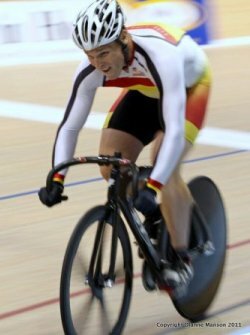 Olympic bronze medallist Simon Van Velthooven was not considered as he has just returned this week following a prolonged stint racing in the Japan Keirin League, and is scheduled to compete in a range of meets in Tasmania next month. Cheatley said the focus for all track riders is the national championships in Invercargill. The third round of the UCI World Cup is in Aguascalientes, Mexico on 17 to 19 January with the national championships in Invercargill on 31 January to 3 February. Riders: Eddie Dawkins (Invercargill), Matt Archibald (Invercargill), Sam Webster (Auckland) and Ethan Mitchell (Auckland). Staff: Justin Grace (coach), Dale Hollows (mechanic), Ant Croucher (Physiotherapist).